Garage door not working properly? Tired of your ancient door? Do not hassle and try searching for a new garage door yourself, let Garage Door Installation Studio City do all the hard work. After all, we do provide the lowest prices for any new garage door installation. 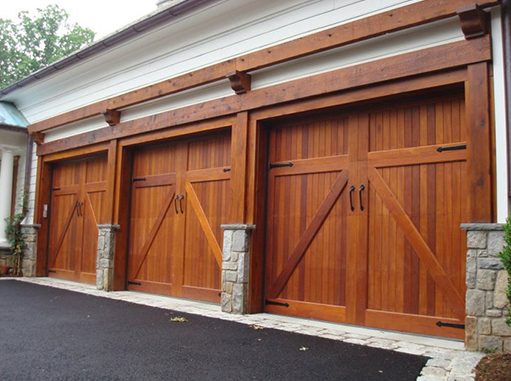 Equally important, we install both single car garage doors and double car garage doors. This also includes commercial buildings. No matter the size, Garage Door Installation Studio City works on all custom size doors. Give us a call and set up a consultation with one of our friendly trained technicians. In addition to helping you install the door, we also bring brochures to your property. So choosing the right door just got that much easier. Garage Door Installation Studio City is always available, 24/7 same day emergency service. 100% Satisfaction guaranteed! In summary here are some examples of doors we work with. There are a number of different garage door openers available in the market. Each opener is a little bit different. Luckily, Garage Door Installation Studio City provides and works on all the different types. Happily providing great opener installations with only the top name brands. Have a garage door problem? Call Garage Door Installation Studio City and we can install a brand new opener within an hour of the phone call. Lowest prices in Studio City, CA. Look below for all the different types of openers we provide! Most reliable openers in the business are the belt drives. Not only are they reliable, but they are also the quietest. Belts are made from fiberglass, polyurethane, and steel reinforced rubber. Belt drives are ideal if your living quarters are close to your garage door. Garage Door Repair Studio City highly recommends the belt drive opener. Live in a place with dramatic temperature change? Garage Door Repair Studio City favors the screw drive. Hot or cold, the screw drive will always function properly. In addition to sturdiness, they also have less moving parts which means less needed maintenance. Appointments available around the clock call now! The most popular and common garage door opener that Garage Door Repair Studio City provides is the chain drive. In addition to popularity, the chain drive openers are also the most affordable unit in the business. These openers operate with a metal chain that pulls the garage door along a track. Same day service available. Jackshaft openers are mounted next to the garage door, not above like the common openers. This is very beneficial for garage doors that do no have enough space for a regular opener. With this in mind, Garage Door Repair Studio City recommends the jackshaft for over-sized doors and cathedral ceilings. Very great choice for a new style look! Need new springs? Not sure what type of springs your garage door has? Then Garage Door Installation Studio City is the right choice for you! Providing quality spring installation for both commercial and residential doors. In addition to installation, we also give you more information about your current springs and what type you need. With this in mind, if you hear any loud pop or your garage door is not working properly, give Garage Door Installation Studio City a call as soon as possible. Must be remembered that Garage Door Installation Studio City does not recommend you try to replace springs by yourself. Let one of our trained technicians stop by that very same day and install a brand new set for you. No matter the size of spring, we will have it done that day guaranteed. Speak to one of our friendly staff members today! Free consultation available 24/7.